Singapore, April 09, 2019 -- Since launching its new and improved engine and platform, Singapore's COSS Exchange has seen its daily trading volume increase by almost threefold. 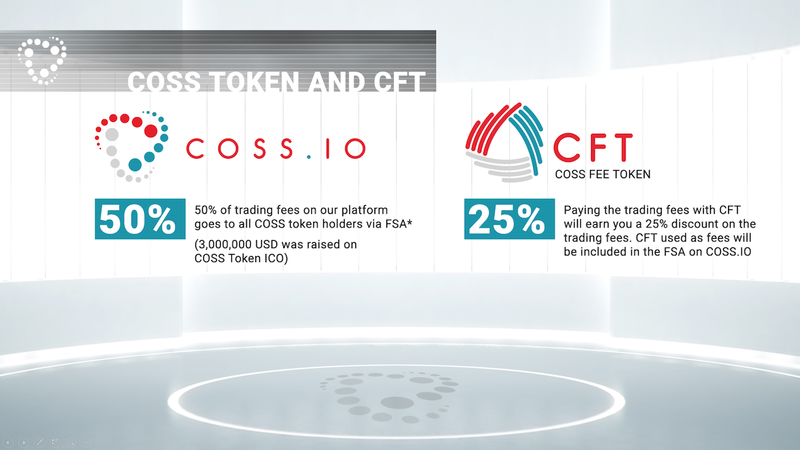 With its overhaul out of the way, COSS has now shifted its focus to the COSS Fee Token, CFT for short. With Zeppelin's burn function built into the token smart contract to schedule periodic coin burns, the total CFT supply will be adjusted automatically. The burn is fixed at 1M CFT tokens every month until the maximum supply is halved. This transparent burn model ensures an increase in the value of CFT held by its users. 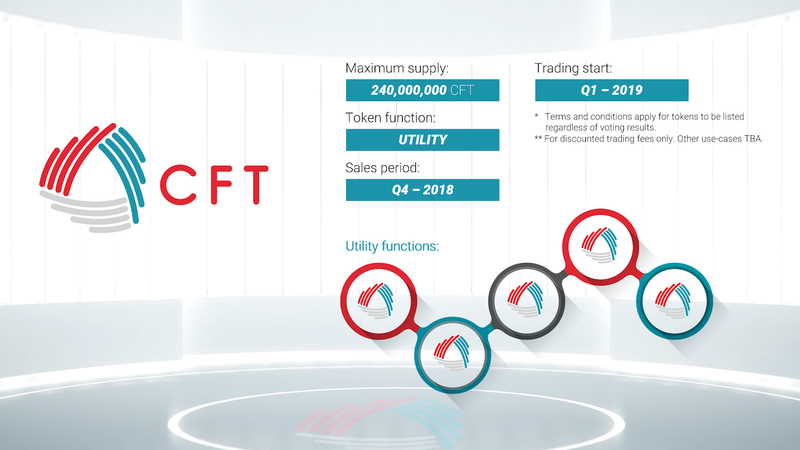 For those who missed out on BNB, a winning strategy since its introduction to the market more than a year-and-a-half ago, CFT offers an opportunity to reap similar benefits. Interested individuals/parties can contact info+CFT@coss.io for more enquiries.